warning: Invalid argument supplied for foreach() in /var/sites/t/tabw.org.uk/public_html/sites/www.tabw.org.uk/modules/cck/content.module on line 1284. 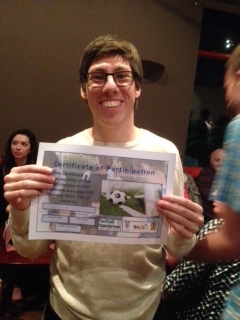 Well done Edward on this fantastic achievement! 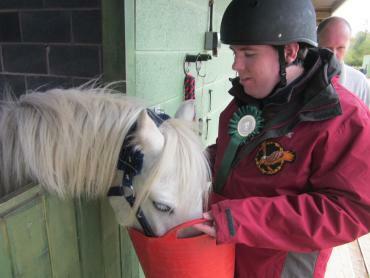 Ed recieved his Horse Riding Skills certificate from Nuneaton & north Warwickshire Equestrian Centre last week. Here he is putting those skills into practice! Familiar Faces in New Places! We would like to congratulate Staci Thomas who started as Adult Co-ordinator on 20th April 2015. Our congratulations also go to Nathan Sweet, Rachel Nicholds and William Barford who started in their new roles as Senior Support Workers in January 2015, and to Vendula Kremsova, Samantha Peters and Karen Matthews who started in their new role as Senior Support Workers in May 2015. Our best wishes go to Christie-Anne Stevenson who will be starting maternity leave on 27th May 2015. 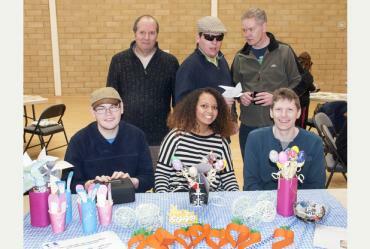 The OFSTED report of TABs Hatterspace Community Centre playscheme can be found here, or see below for some extracts from the report. We would like to say a big thank you to the Warwickshire Freemasons (Provincial Grand Lodge of Warwickshire) for their generous donation of £500 to Take a Break Warwickshire. 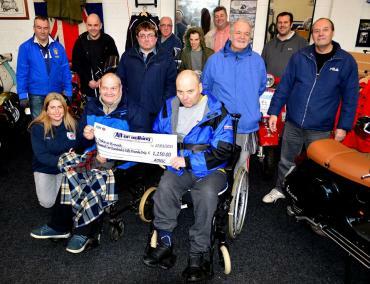 All or Nothing Scooter Club raise £1,250 for Take a Break Warwickshire! 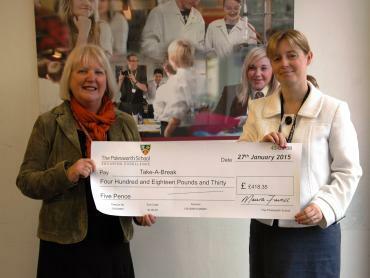 Students at The Polesworth School raise over £400 for Take a Break Warwickshire!